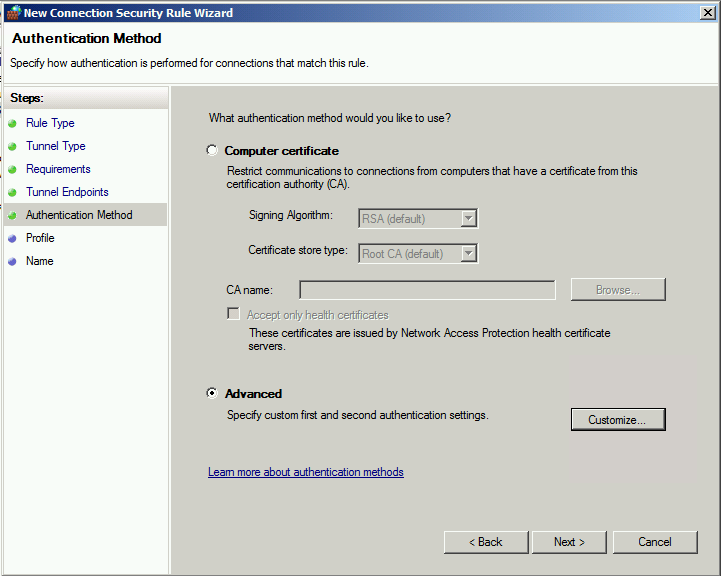 netsh advfirewall consec add rule name="Windows Azure" endpoint1="192.168.0.0/16" endpoint2="10.1.0.0/16" action="requireinrequireout" description="Site-to-site VPN for Windows Azure" mode="tunnel" profile="any" type="static" localtunnelendpoint="80.212.96.194" remotetunnelendpoint="168.63.16.208" protocol="any" auth1="computerpsk" auth1psk="wL8fC…" qmsecmethods="ESP:SHA1-AES128+60min+102400000kb"
netsh advfirewall mainmode add rule name="Windows Azure IPSec Main Mode Settings" mmsecmethods="dhgroup2:aes128-sha1" mmkeylifetime="480min,0sess" description="Main mode settings compatible with Windows Azure Gateway" endpoint1="192.168.0.0/16" endpoint2="10.1.0.0/16"
Can you give some screen shots of your NIC configurations? I can only get Azure to connect briefly for a minute or two, and it drops… only way i can reconnect is to reboot the 2008 server on prem. Something seems to either stop working, or start up that is blocking connectivity. Note: I removed the gateway IP from the internal adapter and connection is now happening with only brief outages. Also, what should the gateway be for a server on the internal network. 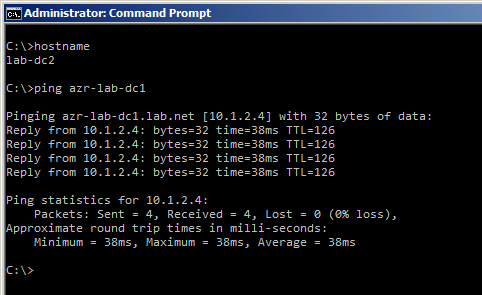 If my internal IP is 10.0.1.35, is that what other servers should point too? How do they know to use that server to route to the ranges I have in Azure? 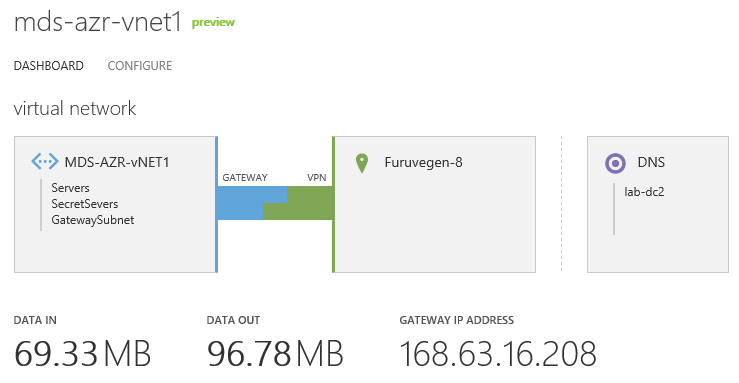 Your Windows Azure Gateway instance is allowing all the necessary ports to establish a site-to-site VPN, so it does not Block UDP. 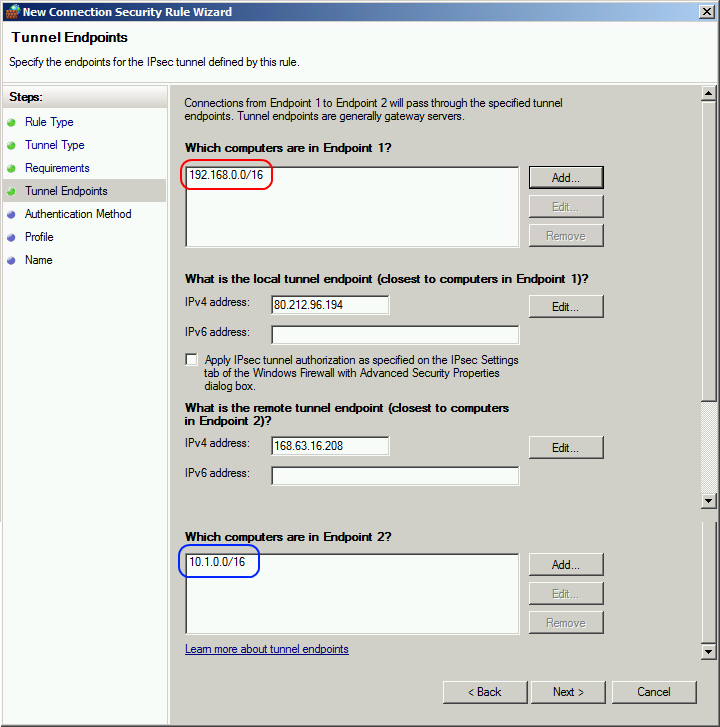 As I wrote in the article you need to work out the IP Routing requirements in Your environment. 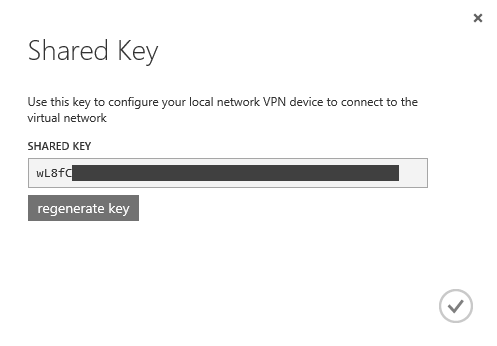 If Your Windows Server that is running as a VPN Device has IP 10.0.1.35, then traffic destined for any of the Networks you have defined in Windows Azure needs to go to that address. 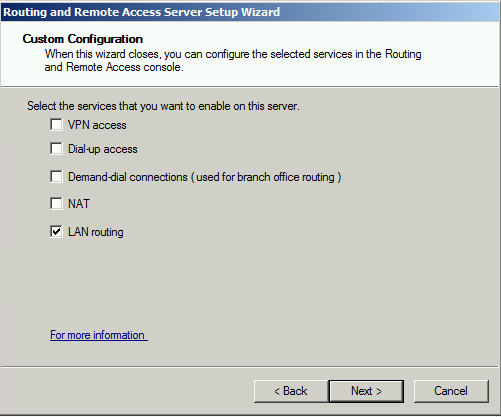 You can either do this by specifying Your server as the default Gateway for Your local network, you can edit the local IP Routing table on Your local servers or you can add a route on Your existing default Gateway. 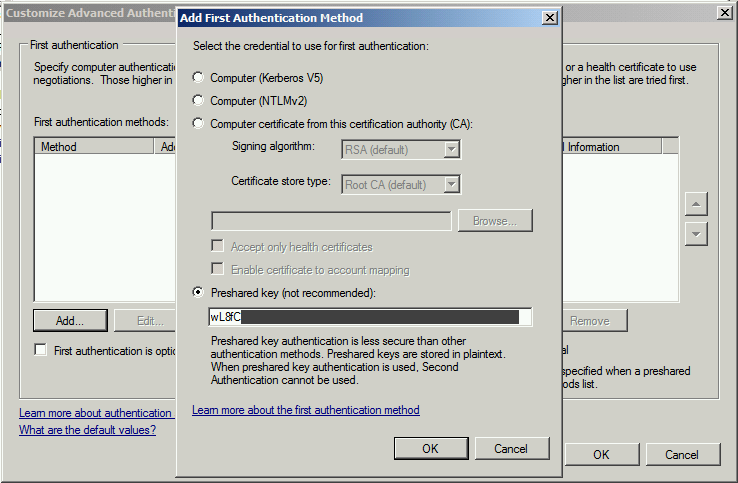 Regardless of you configuration you should never have more than one DEFAULT Gateway or Windows will not know which on to use. 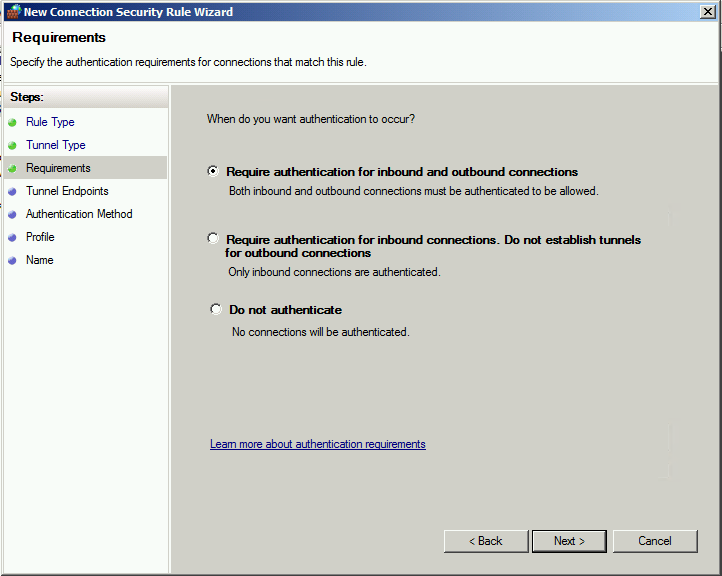 In this case, since Your VPN server is Connected to the Internet it needs to have a default Gateway specified on the external NIC in order to be able to Reach Windows Azure. If you have more than one GW today I am guessing that is part or all of the reason that you are seeing intermittent pings. 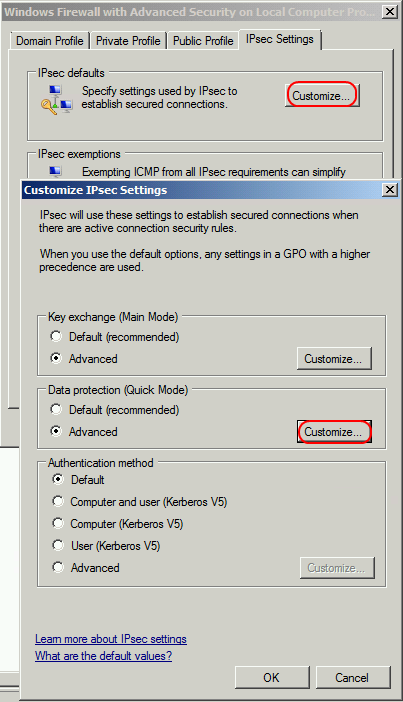 To test you can make sure that you only have a default Gateway on Your external NIC and that Your local machine has Your VPN server as its default GW. That is the simplest configuraton and you should be able to work from there. 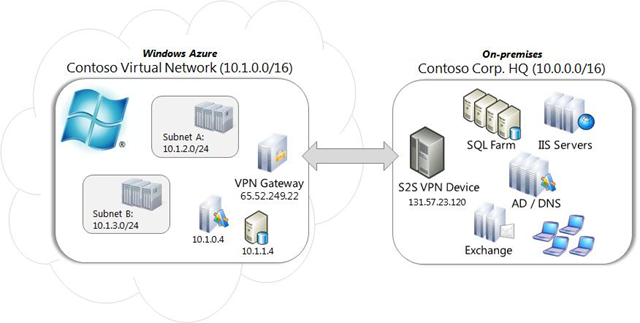 Pingback: Getting Started with Site-to-Azure VPN Setup | Concurrency, Inc.
Pingback: Site-to-Azure VPN using Windows Server 2012 RRAS | Concurrency, Inc. 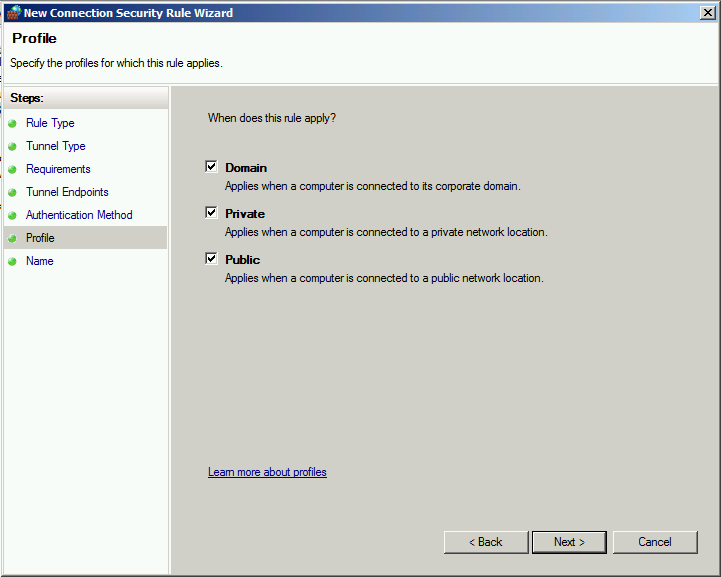 I am battling to find information about using public IP addresses instead of private. 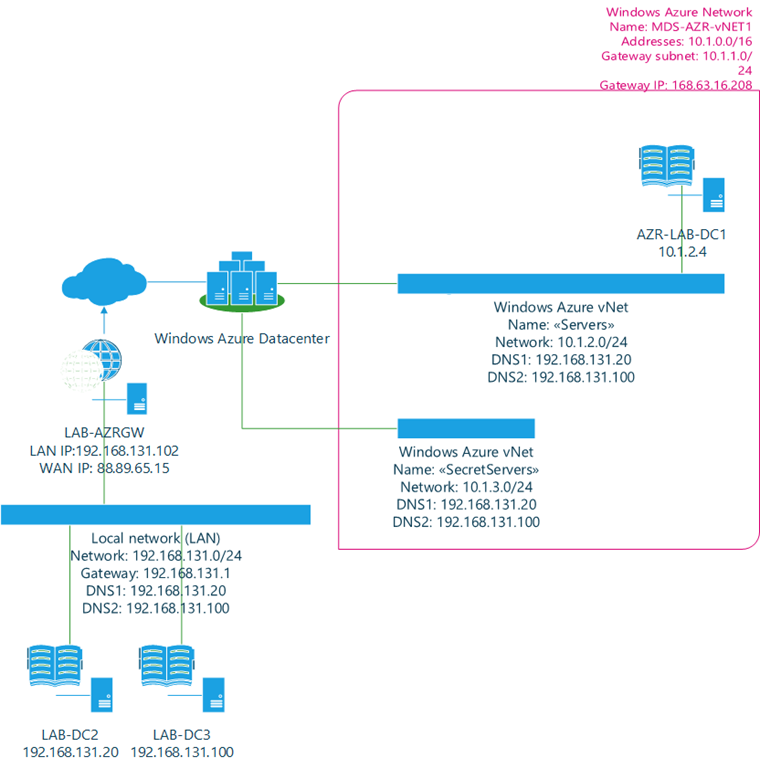 We need to connect our network using a Cisco ASA to another network in Azure. 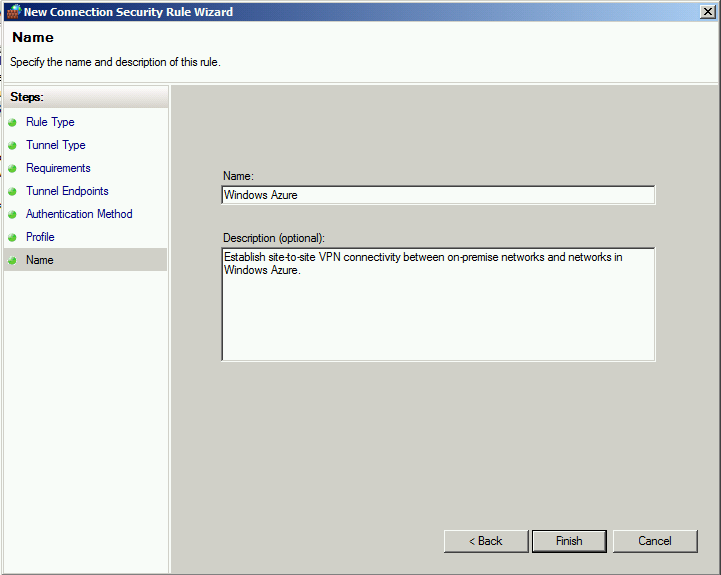 However, we cannot connect to the private IP’s the Azure config provides, we are only allowed to connect VPN’s to public host IP’s. Within the ASA we NAT our private IP to public and then use the public for the encryption. Is there a way to do the same with Azure?